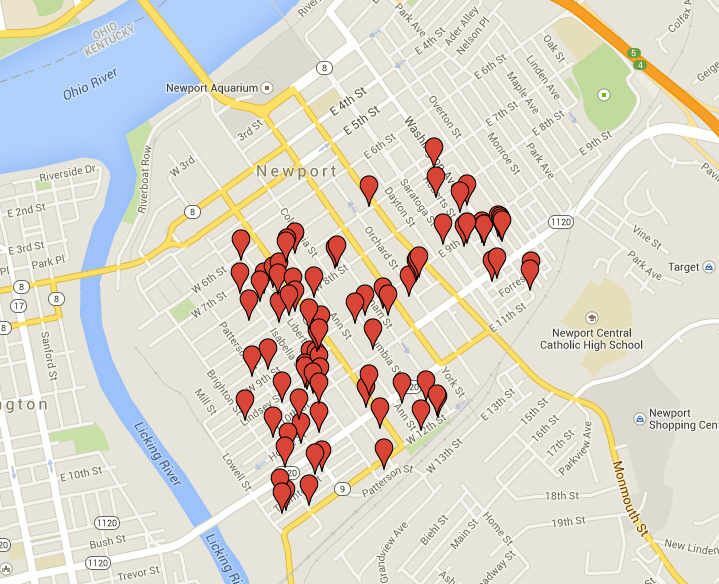 Newport's West Side was identified by NKY Urban and Community Forestry Council (NKYUCFC) as being in very significant need of an increase in tree canopy ( Tree canopy is an indicator of a lot of issues urban areas are facing today - poor air quality, flooding and water pollution, heat stressed areas, public health (both mental and physical) . NKYUCFC granted the City of Newport $8000 for trees. Additional funds were solicited from grants and charitable organizations resulting in $20,000 for the project. Tree Revitalize, the tree committee of the East Row Garden Club in partnership with the West Side Citizens Coalition managed the project.